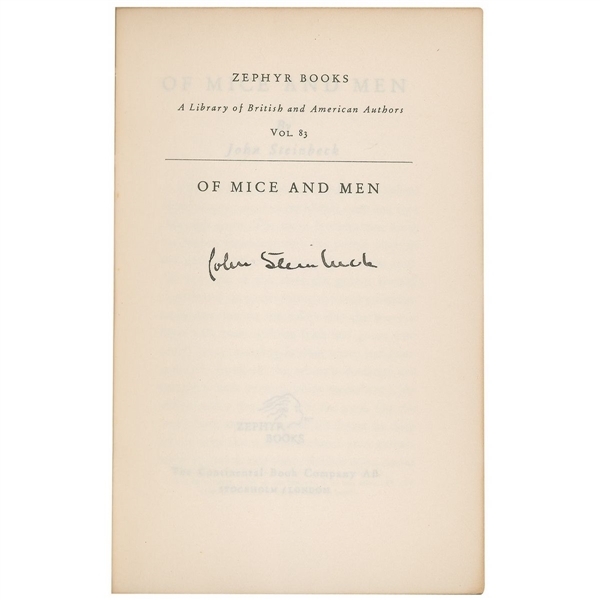 Signed book: Of Mice and Men. Later printing. Stockholm: Zephyr Books, 1945. Softcover with dust jacket, 5 x 7.25, 186 pages. Signed on the half-title page in black ink. 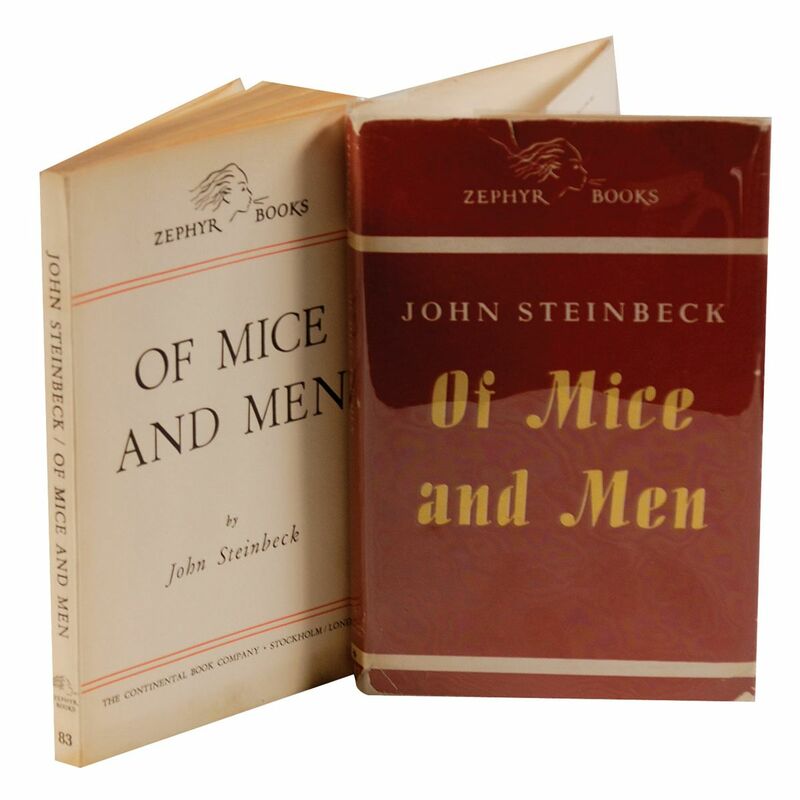 In fine condition, with some mild toning to edge of pages and some small tears and creases to dust jacket. 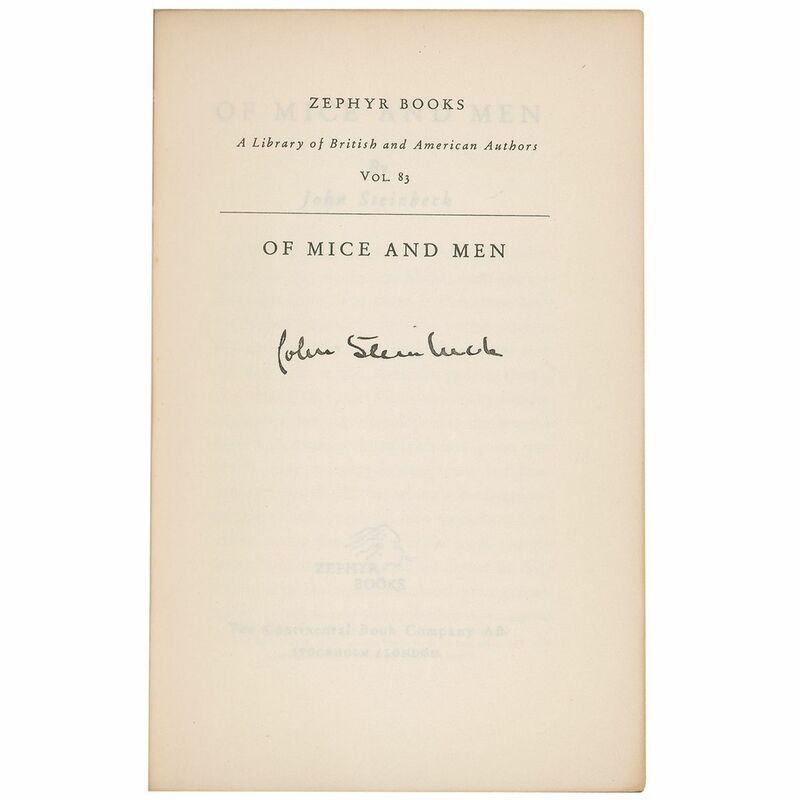 A most desirable signed title.